Do you have photos, historical accounts or other items pertaining to the Wabedo area? Would you like to share this historical information with the world? LakesnWoods.com would like to publish your Wabedo photos (current or historical) or historical accounts on this website. Original materials can be returned and your privacy will be respected. Wabedo Township is a township in Cass County, Minnesota. State Highway 84 serves as a major arterial route in the community. According to the United States Census Bureau, the township has a total area of 35.3 square miles (91.5 km²), of which 24.6 square miles (63.8 km²) is land and 10.7 square miles (27.7 km²) (30.23%) is water. 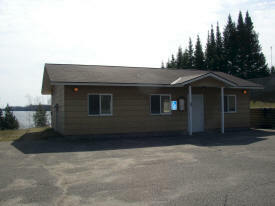 The elevation is 1,325 ft (404 m) above sea level. As of the census of 2000, there were 375 people, 175 households, and 133 families residing in the township. The population density was 15.2 people per square mile (5.9/km²). There were 650 housing units at an average density of 26.4/sq mi (10.2/km²). The racial makeup of the township was 98.40% White, 0.53% Native American, 0.27% Asian, 0.27% Pacific Islander, and 0.53% from two or more races. Hispanic or Latino of any race were 1.07% of the population. There were 175 households out of which 12.0% had children under the age of 18 living with them, 73.7% were married couples living together, 0.6% had a female householder with no husband present, and 24.0% were non-families. 18.9% of all households were made up of individuals and 8.0% had someone living alone who was 65 years of age or older. The average household size was 2.14 and the average family size was 2.37. In the township the population was spread out with 12.3% under the age of 18, 2.9% from 18 to 24, 13.6% from 25 to 44, 41.6% from 45 to 64, and 29.6% who were 65 years of age or older. The median age was 57 years. For every 100 females there were 119.3 males. For every 100 females age 18 and over, there were 113.6 males. The median income for a household in the township was $36,979, and the median income for a family was $43,500. Males had a median income of $35,208 versus $25,833 for females. 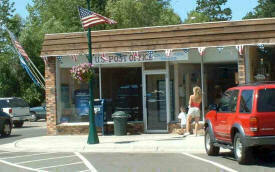 The per capita income for the township was $21,022. None of the families and 3.4% of the population were living below the poverty line, including no under eighteens and 6.4% of those over 64. 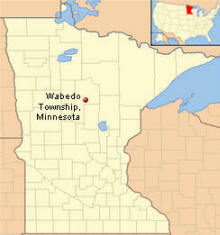 WABEDO Township (accenting the first syllable) received its name from its Wabedo Lake. Warren, writing in 1852 in his History of the Ojibway People, related that an invading war party of the Dakota, about the year 1768, came "into Wab-ud-ow lake, where they spilt the first Ojibway blood, killing a hunter named Wab-ud-ow (White Gore), from which circumstance the lake is named to this day by the Ojibways." The same party, advancing northward, killed three boys gathering rice, whence Boy Lake and River received their name, as noted on a preceding page. Gilfillan spelled Wabedo Lake as "Wabuto sagaiigun, or Mushroom lake." 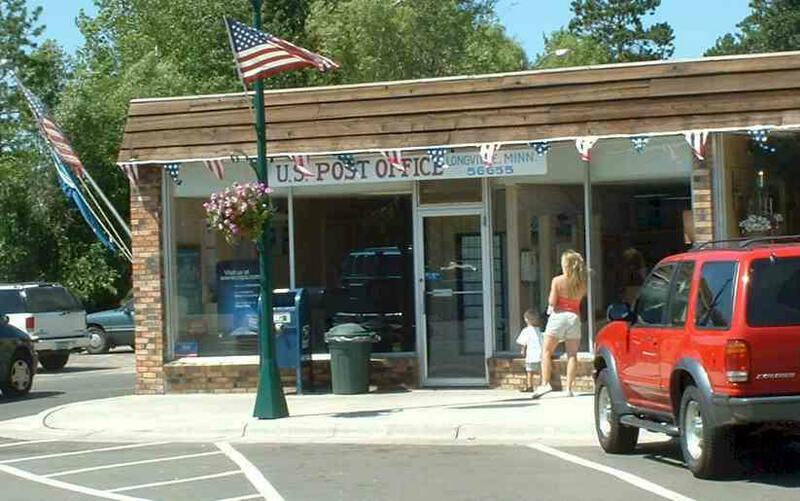 A post office was located on the border of Wabedo and Blind Lake Townships, 1906-35, which was earlier named Estherville, 1904-6, with Esther M. Madson, postmaster.